“The earthquake this March took the lives of many people, including many DIR EN GREY supporters. Now, in many places throughout the country, high radiation levels have been detected; everyone including ourselves has been exposed to the radiation and there are even some who say the contamination is so bad we are at risk to not be able to travel to the USA and other countries in the future. August 3rd 2011 is the release date of our new album DUM SPIRO SPERO. This normally would have been a wonderful day where our work was to be released out into the world. However, there are still many people in Japan suffering from the disaster and so with the intention of self-restraint, we will to refrain from words of joy on this occasion. But we cannot stop moving forward due to this. We are currently in Japan now; however it is unclear to what extent the government’s statements are correct, and to be honest, no one really knows what is going on in Japan right now. The safety regulations for safe level of radiation exposure keep getting increased higher and higher, yet the only official announcement is that “there is no effect on health.” We can no longer tell whether we are a democratic nation. Unless you are careful with your words, you will be taken down with significant force. At this point we do not have the ability to truly find out what is occurring in our own country. However, we want to know the truth. People are able to overcome huge obstacles and problems if they know the truth. In the album title “While I Breath I Hope,” and our music video “DIFFERENT SENSE” that we released just prior to the album, our sense of wanting to take action that will lead to a breakthrough in the current situation is reflected. The beginnings of something as significant as the velvet revolution are said to have been in the “Prague Spring” which was started by a rallying of people of culture. 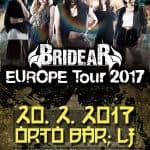 Kampanja scream4truth bo ostala aktivna dokler Japonska vlada ne bo izdala točnih podatkov o radiaciji, Dir En Grey prav tako komentirajo, da to preprečuje njihov obisk tujih držav. Pa bodo dosegli svoje? Mi upamo da. Vso srečo!